Of the seventeen Targaryen kings to have sat the Iron Throne in George R.R. Martin’s World of Ice and Fire, Baelor the Blessed was by far the most pious1, almost to a fault. Though his reign only lasted ten years2, it resulted in a peace with Dorne that lasted the entirety of his reign3, as well as a reform of most of Westeros4 and the building of the extravagant Great Sept of Baelor in King’s Landing5. Though Baelor I Targaryen is a small part of a fictional history, his reign is not entirely fictional, as it borrows from the lives of factual historical figures who ruled in various places and times in medieval Europe and were later remembered as saint-kings whose religious zeal guided their reigns. These historical connections not only provide Baelor’s character with a narrative foundation but also allow the audience to engage with the narrative by drawing on historical parallels to build theories and predictions about the course of the narrative as well as provide a location for essential moments in the story. The most direct historical inspiration for Baelor the Blessed is King Louis IX of France, son of Louis VIII and Blanche of Castile. Both Baelor and Louis led zealously religious lives, and Louis was even canonized as a saint7. There are many similarities between the two pious kings, especially between what they did and how they chose to rule their respective realms: both made attempts at reconciliation with neighbouring territories, both made a pilgrimage of some kind, and both oversaw many religiously motivated changes. One of Baelor’s first actions as king of Westeros was to travel to Dorne, where his late brother King Daeron I had died attempting to put down a rebellion, “‘with neither sword nor army,’ to return their hostages and sue for peace”8, rather than have the hostages executed and the feud with Dorne continue. Louis IX also made attempts to reconcile with neighbouring nations—in his case, he made attempts to annex Toulouse after the revolt and death of Raymond VII9. For Louis, this was a political move, but for Baelor, forging an alliance with Dorne and forgiving them their treason was an act of piety, and Maester Yandel, the fictional historian in The World of Ice and Fire, writes in his account of Baelor’s reign that “[m]any similar acts of piety and forgiveness followed throughout Baelor’s ten-year reign”10. For both kings, this involved a pilgrimage, though the fictional and the historical kings each carried this out in their own way—Baelor walked barefoot from his throne in King’s Landing to deliver the Dornish hostages to their home in Sunspear11, while Louis took a crusader’s vows and travelled to Jerusalem12. While the motivations behind both kings’ pilgrimages were undoubtedly both religious and political, it is the manner in which they left their kingdoms that sets Louis IX and Baelor I apart: before embarking on his crusade, Louis IX ensured his subjects’ security and “wanted to leave the realm pacified and subject to a just power”13. Baelor, however, did not take any precautionary measures before departing for Dorne, only leaving Prince Viserys, his brother and Hand of the King, to rule in his absence. Again, while their motivations for embarking on these pilgrimages were similar, that Baelor put his religious activities before the needs of the realm indicates an important distinction between the fictional king and his historical inspiration: Louis IX did not let his devout nature hinder his ability to rule France, but Baelor’s piety became the focus of his reign. This distinction is demonstrated by the remainder of the two kings’ reigns. Both made attempts to reform their respective realms, Louis IX’s being described as “a political and moral reform of the realm”14. Baelor’s attempts, however, are described by Maester Yandel more negatively: the people were outraged when he outlawed prostitution and “chose not to acknowledge” the unrest that it caused15; he poured funds into his religious ambitions, using the royal treasury to “fund his charitable acts”16 and to build a grand new sept that he claimed to have seen in a vision17; and he confused the line of succession when he dissolved his marriage to his sister Daena, claiming it had never been consummated18, locked his three sisters in the Maidenvault to eliminate temptation and to “preserve their innocence from the wickedness of the world and the lusts of impious men”19, and, taking a septon’s vows, would never wed again, therefore having no heir except for his brother, Prince Viserys. Maester Yandel writes that “[t]he king’s edicts were becoming more concerned with spiritual matters at the expense of the material”20. By contrast, Louis IX, “[t]hough pious, even devout, […] never sacrificed the royal prerogative”21. Therefore, Louis IX did not allow his piety to hinder his ability to rule competently, but Baelor I’s reign suffered because of his. So, while the two kings shared some traits and motives, Baelor the Blessed is depicted by Maester Yandel as almost too pious and a poorer ruler than Louis IX is depicted in historical accounts. Many aspects of Baelor’s reign are certainly inspired by that of Louis IX, yet his religious fervor and the consequences of his piety are greatly exaggerated for the purposes of the narrative. 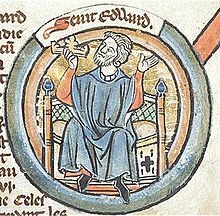 A less direct historical counterpart for Baelor the Blessed is Edward the Confessor, the Anglo-Saxon who was king of England23 from 1042 to 106624. Both were noted for their generosity to the poor, and both were childless after allegedly unconsummated marriages. In Baelor the Blessed’s case, “the smallfolk loved him—he emptied the treasury regularly to fund his charitable acts”25, though the nobility in Westeros were less pleased, in part because the king was “aided and abetted by a High Septon who was becoming increasingly more influential in the kingdom”26. While there seemed to be a negative reaction to King Baelor’s generosity, Edward the Confessor’s “reputation for holiness was based on his generosity to the poor and his allegedly unconsummated marriage”27, which gives no indication that these two items were an issue with the nobility. In fact, Edward used his childlessness to his political advantage, making promises of succession to his lords in order to secure their loyalty28. Baelor, however, took no advantage of the results of his religious nature in order to improve the realm’s political situation, instead focusing on moral reform in Westeros. While there are fewer connections between Baelor and Edward than there are between Baelor and Louis IX, it is still evident that Baelor’s reign is inspired by many different historical counterparts, and although Edward the Confessor’s life was not entirely focused on religion as Baelor’s was, it is still likely that the events in his life are a part of the foundation for Baelor the Blessed. Some other parallels can be drawn between the reign of Baelor I and the lives of historical pious kings, though they are less obvious than Louis IX and Edward the Confessor. Oswald of Northumbria, who spent much of his youth in exile and was converted to Christianity by monks on the island of Iona29, is attributed with bringing Christianity to Northumbria30 in much the same way that Baelor the Blessed enforced the Faith of the Seven in Westeros. Just as Baelor’s rule was guided by the High Septon, the reign of Emperor Henry III was heavily influenced by the Church, with which he was also deeply involved: he selected several popes during his reign and was a supporter of the Cluniac movement31. Much like Henry III, Baelor was very much involved with the Faith and did not rule idly when it came to issues of religion. Baelor’s reign was influenced by many different historical figures, although in The World of Ice and Fire the more religious aspects of his life are exaggerated for the purpose of the narrative and are depicted as having a negative impact on his reign, while historical saint-kings were often well-balanced between politics and religion. Crowfood’s daughter then goes on to support this theory not only with research from The World of Ice and Fire and quotes from the novels, but also with two myths: the Greek story of King Acrisius and his grandson, Perseus, and the Celtic story of Balor and his daughter, Eithne. In both myths, there is a prophecy that the man’s grandson will murder him, so he locks his daughter away in the hopes that no man will ever find her, only to have his plan foiled and his daughter impregnated33. This is similar to Baelor’s decision to lock his sisters away in the Maidenvault—in his case, it was his sisters and not his daughter, and according to Maester Yandel, King Baelor was not murdered by anyone34, but the theory suggests that the studious king came across something resembling this prophecy and, fearing either for his life or the good of the realm, locked his sisters away. It is also noteworthy that his sister, Daena, did in fact bear a child, just as the daughters in the Greek and Celtic myths did, whose father she refused to name35. The child was later revealed as one of Aegon the Unworthy’s natural sons, Daemon Blackfyre36, and Crowfood’s daughter’s theory suggests that this may have been the very thing that Baelor was trying to prevent, since the Blackfyres later caused much turmoil in the realm with their many attempts to claim the Iron Throne37. By making connections between the narrative and the outside world, fans are engaging with the text on a level that would not be possible if Baelor’s history were not inspired by historical figures and cultural mythologies such as the ones referenced by Crowfood’s daughter. Again, the Sept of Baelor is the location for a pivotal moment in the narrative when a character who appeared to be the protagonist meets his untimely demise, sending the narrative into a new and unexpected direction. The location of the execution of Eddard Stark is mentioned once again in the paperback series’ fourth installment, A Feast for Crows, when Cersei meets with the High Sparrow for the first time. Cersei complains of the filth that the Sparrows are leaving on the steps of the sept, and the High Sparrow replies that “[n]ight soil can be washed away more easily than blood, Your Grace. If the plaza was befouled, it was befouled by the execution that was done here”40. It is evident that the location of certain events are remembered by the characters, and to one such as the High Sparrow, the fact that such an event took place outside the Sept of Baelor is not easily forgotten, and this reminder to Cersei serves as a warning to the reader that the High Sparrow is not going to be her ally. Therefore, Baelor the Blessed is not simply a figure mentioned in passing: he is mentioned again and again throughout the narrative, and his legacy is an integral part of the plot, providing a setting for pivotal events and a subject to emphasize the religious inclinations of many characters. It is clear that the reign of Baelor the Blessed is not a wholly fictional creation: Martin draws on several historical figures for inspiration—saint-kings such as King Louis IX of France and Oswald of Northumbria, whose rule was guided by their devotion to their faith, much like Baelor I was led by his. In The World of Ice and Fire, the most extreme examples of Baelor’s piety are presented, many of them similar to events in the lives of Louis IX and Edward the Confessor but exaggerated to make apparent that he was pious to a fault. This is also a product of Maester Yandel’s bias as an historian, as much of his research is based on legends, tavern tales and ancient scrolls. However, the historical connections to Baelor have more purpose than simply giving him a more concrete backstory. They also allow the audience to engage with the text, much like the fan theories that draw on historical parallels for evidence. Therefore, while there are many differences between the reign of Baelor the Blessed and those of historical pious kings, the similarities that do exist allow for another level of engagement with Martin’s texts, both on the page and on the screen. 1. George R.R. Martin, Elio M. García, Jr., and Linda Antonsson. The World of Ice and Fire: The Untold History of Westeros and the Game of Thrones. (New York: Bantam Books, 2014), 89. 6. 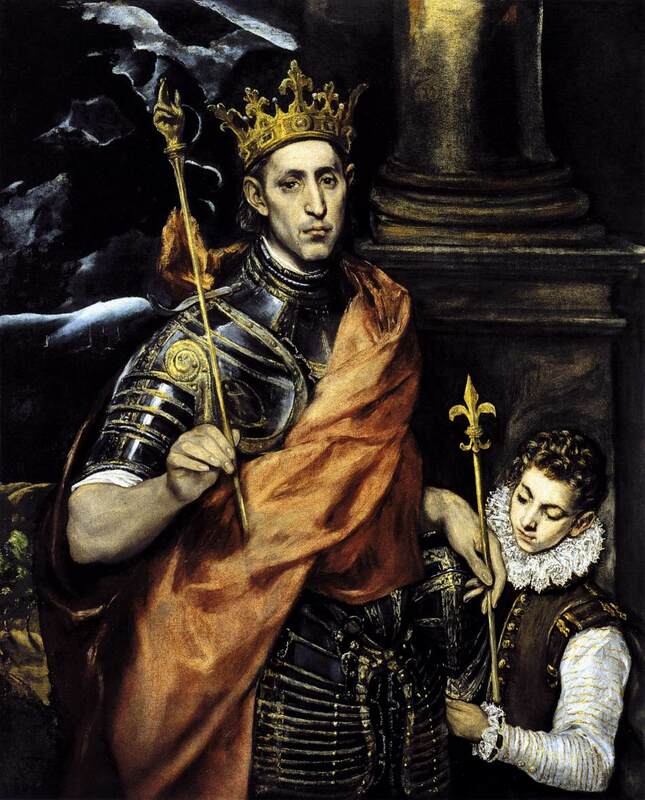 “File:Saint Louis IX by El Greco.jpg,” Wikimedia Commons, last modified December 12, 2014. 7. Alain Demurger, “Louis IX (Saint Louis),” In Encyclopedia of the Middle Ages, ed. André Vauchez (Boston: James Clarke &Co., 2002). 8. George R.R. Martin, Elio M. García, Jr., and Linda Antonsson. The World of Ice and Fire: The Untold History of Westeros and the Game of Thrones. (New York: Bantam Books, 2014), 89. 9. Alain Demurger, “Louis IX (Saint Louis),” In Encyclopedia of the Middle Ages, ed. André Vauchez (Boston: James Clarke &Co., 2002). 10. George R.R. Martin, Elio M. García, Jr., and Linda Antonsson. The World of Ice and Fire: The Untold History of Westeros and the Game of Thrones. (New York: Bantam Books, 2014), 89. 12. Alain Demurger, “Louis IX (Saint Louis),” In Encyclopedia of the Middle Ages, ed. André Vauchez (Boston: James Clarke &Co., 2002). 15. George R.R. Martin, Elio M. García, Jr., and Linda Antonsson. The World of Ice and Fire: The Untold History of Westeros and the Game of Thrones. (New York: Bantam Books, 2014), 92. 21. Alain Demurger, “Louis IX (Saint Louis),” In Encyclopedia of the Middle Ages, ed. André Vauchez (Boston: James Clarke &Co., 2002). 22. “Edward the Confessor,” Wikipedia, last modified June 14, 2015. 23. Bernhard W. Scholz, “Edward the Confessor: ‘Anglorum Decus’,” in Traditio (Bronx, NY: Fordham University, 1962), 381. 24. Michael Lapidge, “Edward the Confessor,” in Encyclopedia of the Middle Ages, ed. André Vauchez (Boston: James Clarke &Co., 2002). 25. George R.R. Martin, Elio M. García, Jr., and Linda Antonsson. The World of Ice and Fire: The Untold History of Westeros and the Game of Thrones. (New York: Bantam Books, 2014), 92. 27. Michael Lapidge, “Edward the Confessor,” in Encyclopedia of the Middle Ages, ed. André Vauchez (Boston: James Clarke &Co., 2002). 29. Michael Lapidge, “Oswald of Northumbria,” in Encyclopedia of the Middle Ages, ed. André Vauchez (Boston: James Clarke &Co., 2002). 30. Charles P.R. Tisdale, “The Geological Fault,” in The Sewanee Review (Baltimore: The Johns Hopkins University Press, 2007), 445. 31. Michel Parisse, “Henry III, Emperor,” in Encyclopedia of the Middle Ages, ed. André Vauchez (Boston: James Clarke &Co., 2002). 32. Crowfood’s daughter, “Baelor the Blessed Theory.” A Forum of Ice and Fire, last modified March 3, 2015. 34. George R.R. Martin, Elio M. García, Jr., and Linda Antonsson. The World of Ice and Fire: The Untold History of Westeros and the Game of Thrones. (New York: Bantam Books, 2014), 93. 38. GameofThrones, “Game of Thrones Season 5: Episode #7 Clip – Cersei and the High Sparrow (HBO).” Youtube, last modified May 25, 2015. 39. XEgalmothOfGondolin, “Game of Thrones – The Execution of Eddard Stark.” Youtube, last modified May 29, 2012. 40. George R.R. Martin, A Feast for Crows. (New York: Bantam Books, 2011), 598.